In the celebration of the centenary of the establishment of the Republic of Austria, the House of History Austria (HHA) is to be opened in November 2018. This is in no way self-evident, as might be assumed. Rather, this museum has a long history, marked by disputes about the location, the content orientation and the fear of possible political influence. The idea of creating a museum of Austrian history was discussed as early as in 1919, when the State Council under Chancellor Karl Renner conceived of plans for a place dedicated to history (“Geschichtskammer“). This was “intended to establish a cultural and identity-creating foundational basis for the Republic of German-Austria”. In 1919 Renner started to collect objects and initiated a small museum consisting of three rooms, which were located in what were then his presidential offices in the Leopoldinischer Trakt of the Hofburg. Beginning in the mid-1990s, several projects followed; however, none of these came to fruition. In one such example, Leon Zelman, director of the Jewish Welcome Service Vienna, suggested to create a “House of Tolerance” in the Palais Epstein. At the same time, Manfried Rauchensteiner, the director of the Vienna Museum of Military History (HGM – Heeresgeschichtliches Museum), and Stefan Karner, historian at the University of Graz, drafted another feasibility study on the “House of History of the Republic of Austria” (HHA). In 2014, Karner succeeded in his attempts to establish a house of Austrian history in the form of a museum located in the Lower Austrian town of St. Pölten. It will be opened in September 2017 as part of the “Museum Niederösterreich”. At the end of January 2015, Austria’s secretary for culture Josef Ostermayer established an international scholarly advisory board for the development of a concept for the House of History Austria (HHA). To commemorate the one-hundredth anniversary of the Republic of Austria, this new historical institution will be opened in November 2018 in the Neue Burg in cooperation with the Austrian National Library. This initiative will both complement the Austrian museum landscape and embolden scholarship on Austrian history. The comprehensive three-volume museum feasibility study, undertaken by the working group Haas & Lordeurop in 2009, serves as the catalyst for the conceptual realization of this project. The advisory board is comprised of thirty-one domestic and international scholars. These mainly include historians, museologists and archivists whose research focuses, among others, on the areas of contemporary history, womens’ history and gender history, anthropology, as well as history which centers on cultural, economic, political, social and migration issues. The advisory board possesses expert knowledge in the fields of the curation of exhibitions, media and historical education. As with all projects since the 1990s, this project has been intensely discussed both in academic circles and amongst the wider public. Major issues include the fear of one political party influencing the contents and narratives of the museum. Furthermore, it remains a point of concern that the museum could split society both through its inclusion of a controversial mixture of late imperial and republican history as well as through the proposed location in an imperial building from the final Habsburg period. In the end, a reduced version of the museum with an exhibition space of 1,800 sqm instead of 3,000 sqm and a reduced budget were able to convince the wider public. After a transparent and intensive recruitment process, Monika Sommer-Sieghart, an experienced curator of historical exhibitions, was chosen as the first director of the House of History Austria. The first exhibition in the Neue Burg will open on November 12, 2018, commemorating one-hundred years of the Republic of Austria. Additionally, the international scholarly advisory board organized an exchange of ideas between the directors of both all Austrian state archives, libraries and museums and of selected municipal cultural institutions, which took place in June 2015. This meeting solidified the willingness to cooperate with the HHA and demonstrated the positive attitude of the state institutions towards the HHA. Mission Statement: As a museum, the House of History Austria (HHA) is a scholarly institution of the federal government. It will depict Austrian history from the mid-nineteenth century onward in its European and international context for a wide-ranging audience, with a particular focus on the period from 1918 to the present. In doing so, it will enable a historical examination. The House of History Austria will be an active and open forum for discussion of historical questions and present-day topics. 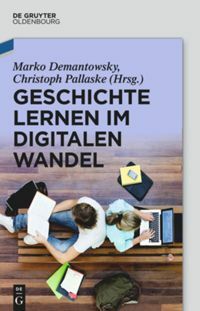 Content: At the institution’s core is the examination of the social, political, economic and cultural lifeworlds in Austria from the middle of the nineteenth century to the present. This temporal direction includes longer developmental lines. Chronological narratives will be interlocked with thematic focal points that reflect the plurality of Austrian society. In doing so, conceptions of history, debates on identity and gender relations will be traced from the Enlightenment onward. Historical ruptures, contradictions and controversies will be dealt with alongside continuities and bridges to the present. Where scientific research and public consciousness have not yet reached a consensus on historical ruptures and unanswered questions, and where controversial answers remain, these divergent interpretations will be documented. Mandate: The HHA will fulfill a museum’s mandate to collect, preserve, scientifically research and exhibit. A variety of formats will be used for the conveyance: Both permanent and special exhibits are planned, as are events and publications. Special attention will be paid to new forms of media and communication. Rathkolb, Oliver. “Gut Ding braucht Weile: Das Haus der Geschichte Österreich in der Neuen Burg.” In Österreichisches Jahrbuch für Politik, edited by Andreas Khol, Günther Ofner, Stefan Karner und Dietmar Halper, 521-544. Vienna/Cologne/Weimar: Böhlau, 2015. Winkelbauer, Thomas, ed. Haus? Geschichte? Österreich? Ergebnisse einer Enquete über das neue historische Museum in Wien. Vienna: New Academic Press, 2016. House of History Austria. http://www.hdgoe.at/ (last accessed 17 February 2017). Museum Niederrösterreich. http://www.museumnoe.at (last accessedlast accessed 17 February 2017). More details on this project can be found on http://www.hdgoe.at/ (last accessed 17 February 2017). Richard Hufschmied, “Genese und Geschichte des Projektes,” in Umsetzungsstrategie für das Haus der Geschichte Österreich: Ideen und Entwürfe des internationalen wissenschaftlichen Beirats, ed. Oliver Rathkolb, Elisabeth Heimann and Richard Hufschmid (Vienna: Bundespressedienst, 2015), 13-16. “Museum Niederrösterreich,” http://www.museumnoe.at/en/house-of-history/permanent-exhibition-house-of-history/1-ausstellung-1-en (last accessed 17 February 2017). “Konzept Teil 1.” The original study can be viewed on https://www.bka.gv.at/DocView.axd?CobId=58747; http://www.hdgoe.at/wp-content/uploads/2015/11/Teil2_final_bka.pdf and http://www.hdgoe.at/wp-content/uploads/2015/11/Teil3_final_bka.pdf (last accessed 17 February 2017). “Kurzumfrage Haus der Geschichte Österreich,” http://www.hdgoe.at/wp-content/uploads/2016/10/Meinungsumfrage-HG%C3%96-Sept.-2016.pdf (last accessed 17 February 2017). “Implementation Strategy for the House of History Austria: Ideas and Outlines of the International Scholarly Advisory Board,” http://www.hdgoe.at/wp-content/uploads/2015/11/Implementation-Strategy-for-House-of-History-Austria.pdf (last accessed 17 February 2017). Republikdenkmal © Manfred Werden, 17.02.2017, via Wikipedia. Anlässlich des 100-jährigen Jubiläums der Gründung der Republik Österreich soll im November 2018 das Haus der Geschichte Österreich (HDGÖ) eröffnet werden. Das ist nicht selbstverständlich oder naheliegend, wie vielleicht angenommen werden könnte. Vielmehr hat dieses Museum eine lange Geschichte, die von Streitigkeiten über den Standort, die inhaltliche Ausrichtung und der Furcht möglicher politischer Einflussnahme geprägt war. Die Planungen zur Errichtung eines Museums zur österreichischen Geschichte gehen bereits auf das Jahr 1919 zurück, in dem der Staatsrat die Entwicklung einer “Geschichtekammer” andachte, die in der Republik Deutsch-Österreich eine kulturelle, identitätsstiftende Grundbasis etablieren sollte. Karl Renner, der anknüpfend an diese frühe Debatte von 1919 Objekte sammelte, etablierte ein kleine Ausstellung in den Räumlichkeiten der Präsidentschaftskanzlei im Leopoldinischen Trakt der Hofburg. Seit den 1990er Jahren folgten seither mehrere Projekte für ein Haus der Geschichte Österreich, die jedoch keine Realisierung fanden: Leon Zelman, Leiter des Wiener Jewish Welcome Service, schlug vor ein “Haus der Toleranz” im Palais Epstein zu errichten. Parallel dazu entwarfen Manfried Rauchensteiner, Direktor des Heeresgeschichtlichen Museums (HGM), und der Historiker Stefan Karner von der Universität Graz eine weitere Machbarkeitsstudie für ein “Haus der Geschichte der Republik Österreich”. Stefan Karner gelang es, seine Vorstellungen von einem Haus der Geschichte Österreich in St. Pölten unter dem Dach des Niederösterreichischen Landesmuseums (Museum Niederösterreich) zu realisieren. Die erste Ausstellung soll im September 2017 eröffnet werden. Auf Bundesebene etablierte Bundesminister Dr. Josef Ostermayer Ende Jänner 2015 einen internationalen wissenschaftlichen Beirat für die Entwicklung eines Konzepts für das Haus der Geschichte Österreich (HDGÖ). Diese neue museale Institution soll im Verbund mit der Österreichischen Nationalbibliothek bis November 2018 anlässlich des 100-jährigen Jubiläums der Gründung der Republik Österreich in der Neuen Burg eingerichtet werden und eine Lücke in der österreichischen Museums- und Wissenschaftslandschaft schließen. Ausgangspunkt für die konzeptuelle Realisierung dieses Auftrages bildete eine umfangreiche dreibändige museale Machbarkeitsstudie der Arbeitsgemeinschaft Haas & Lordeurop aus dem Jahr 2009, aus der die Bestands-, Bedarfs-, Zielgruppen- und Marktanalyse vom internationalen wissenschaftlichen Beirat übernommen wurde. Der Beirat setzt sich aus nationalen und internationalen WissenschaftlerInnen, darunter großteils HistorikerInnen, MuseologInnen sowie ArchivarInnen, zusammen. Deren Forschungsschwerpunkte konzentrieren sich v.a. 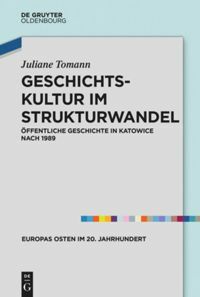 auf die Bereiche Zeitgeschichte, Frauen- und Geschlechtergeschichte, Anthropologie, Kultur-, Migrations-, Politik-, Wirtschafts- und Sozialgeschichte. Zudem können die Mitglieder des Beirats ausgewiesenes ExpertInnenwissen in den Bereichen Ausstellungsgestaltung, Medien sowie Geschichtsvermittlung vorweisen. Wie alle Projekte seit den 1990er Jahren wurde auch dieses Konzept sowohl im akademischen Bereich als auch in der breiten Öffentlichkeit intensiv debattiert. Die Kritik richtete sich nicht nur gegen mögliche parteipolitische Beeinflussungen des Ausstellungsnarrativs und der Inhalte, sondern auch gegen die vermeintliche Spaltung der Gesellschaft, die von einer solchen Institution ausgehen könnte, gegen die inhaltliche Ausrichtung, insbesondere die Verbindung der Republiksgeschichte mit der Spätphase der ausgehenden Habsburgermonarchie seit Mitte des 19. Jahrhunderts, wie auch gegen den Standort in einem imperialen Gebäude. Schließlich vermochten die re-dimensionierten Planungen für das Museum – die Ausstellungsfläche wurde von 3.000 m² auf 1.800 m² verkleinert und das Budget deutlich reduziert – die breite Öffentlichkeit überzeugen. Am 25. Jänner 2017 wurde nach einem transparenten und strengen Auswahlverfahren die Ausstellungskuratorin Monika Sommer-Sieghart zur Gründungsdirektorin des Hauses der Geschichte Österreich bestellt. Am 12. November 2018 soll die erste Ausstellung zum Thema “100 Jahre Republik Österreich” in der Neuen Burg eröffnet werden. Auch ein vonseiten des internationalen wissenschaftlichen Beirates organisierter Meinungsaustausch mit den LeiterInnen aller österreichischen Landesarchive, Landesbibliotheken, Landesmuseen sowie ausgewählter Stadtarchive und Stadtmuseen hat die Bereitschaft an der Zusammenarbeit mit dem HDGÖ gestärkt und die positive Einstellung der Landesinstitutionen gegenüber dem HDGÖ bestätigt. Mission Statement: Das HDGÖ ist als Museum eine wissenschaftliche Einrichtung des Bundes. Dieses vermittelt die Geschichte Österreichs ab der Mitte des 19. Jahrhunderts – mit einem besonderen Schwerpunkt auf der Zeit von 1918 bis in die Gegenwart – einem möglichst breiten Publikum in ihrem europäischen und internationalen Kontext und ermöglicht eine historische Auseinandersetzung. Das HDGÖ wird ein aktives und offenes Diskussionsforum für historische Fragestellungen und Themen der Gegenwart sein. Inhalt: Im Zentrum steht die Auseinandersetzung mit den sozialen, politischen, ökonomischen und kulturellen Lebenswelten in Österreich von der Mitte des 19. Jahrhunderts bis zur Gegenwart. Diese zeitliche Ausrichtung bezieht längere Entwicklungslinien mit ein. Chronologische Narrative werden mit thematischen Schwerpunkten verschränkt, die die Pluralität der österreichischen Gesellschaft widerspiegeln. So sollen etwa Geschichtsbilder, Identitätsdebatten und Geschlechterverhältnisse seit der Aufklärung nachgezeichnet werden. Historische Brüche, Widersprüche und Kontroversen sind ebenso zu berücksichtigen wie Kontinuitäten und Brücken zur Gegenwart. Wo wissenschaftliche Forschung und öffentliches Bewusstsein noch keinen Konsens über die Beurteilung historischer Ereignisse erreicht haben und es daher offene Fragen und kontroverse Antworten gibt, werden diese dokumentiert. Auftrag: Das HDGÖ erfüllt die musealen Aufgaben zu sammeln, zu bewahren, wissenschaftlich zu forschen und auszustellen. Für die Vermittlung werden unterschiedliche Formate genutzt: Neben Dauer- und Sonderausstellungen sind Veranstaltungen und Publikationen geplant. Besondere Aufmerksamkeit wird neuen Medien- und Kommunikationsformen gewidmet. Oliver Rathkolb: Gut Ding braucht Weile. Das “Haus der Geschichte Österreich” in der Neuen Burg. In: Andreas Khol/Günther Ofner/Stefan Karner/Dietmar Halper (Hrsg. ): Österreichisches Jahrbuch für Politik. Wien/Köln/Weimar 2015, S. 521-544. Thomas Winkelbauer: Haus? Geschichte? Österreich? Ergebnisse einer Enquete über das neue historische Museum in Wien. Wien 2016. Haus der Geschichte Österreich: http://www.hdgoe.at/ (letzter Zugriff: 13.02.2017). Museum Niederösterreich: http://www.museumnoe.at (letzter Zugriff:zter Zugriff: 13.02.2017). Mehr Informationen zu dem Projekt finden sich auf der offiziellen Website des Haus der Geschichte Österreich: http://www.hdgoe.at/(letzter Zugriff: 13.02.2017). Richard Hufschmied: Genese und Geschichte des Projektes. In: Oliver Rathkolb (Hrsg. ): Umsetzungsstrategie für das Haus der Geschichte Österreich. Ideen und Entwürfe des internationalen wissenschaftlichen Beirats. Wien 2015, S. 13-16. Museum Niederösterreich: http://www.museumnoe.at/en/house-of-history/permanent-exhibition-house-of-history/1-ausstellung-1-en (letzter Zugriff: 13.02.2017). Die Originalstudie von Haas & Lordeurop ist abrufbar unter https://www.bka.gv.at/DocView.axd?CobId=58747; http://www.hdgoe.at/wp-content/uploads/2015/11/Teil2_final_bka.pdf sowie http://www.hdgoe.at/wp-content/uploads/2015/11/Teil3_final_bka.pdf (letzter Zugriff: 13.02.2017). Kurzumfrage “Haus der Geschichte Österreich”: http://www.hdgoe.at/wp-content/uploads/2016/10/Meinungsumfrage-HG%C3%96-Sept.-2016.pdf (letzter Zugriff: 17.02.2017). Implementation Strategy for the House of History Austria. Ideas and Outlines of the International Scholarly Advisory Board: http://www.hdgoe.at/wp-content/uploads/2015/11/Implementation-Strategy-for-House-of-History-Austria.pdf (letzter Zugriff: 17.02. 2017). Rathkolb, Oliver: Heiß umfehdet, wild umstritten – Das Haus der Geschichte Österreich. 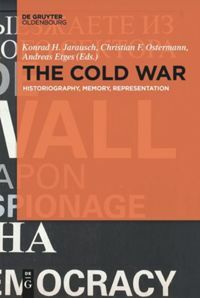 In: Public History Weekly 5 (2017) 7, DOI: dx.doi.org/10.1515/phw-2017-8464.